So today I prepared a super-easy dinner recipe that only requires a few minutes of prep and is sure to be a favorite with even the pickiest of eaters coming home after a big day at school. And all you need are 7 ingredients to make it happen. 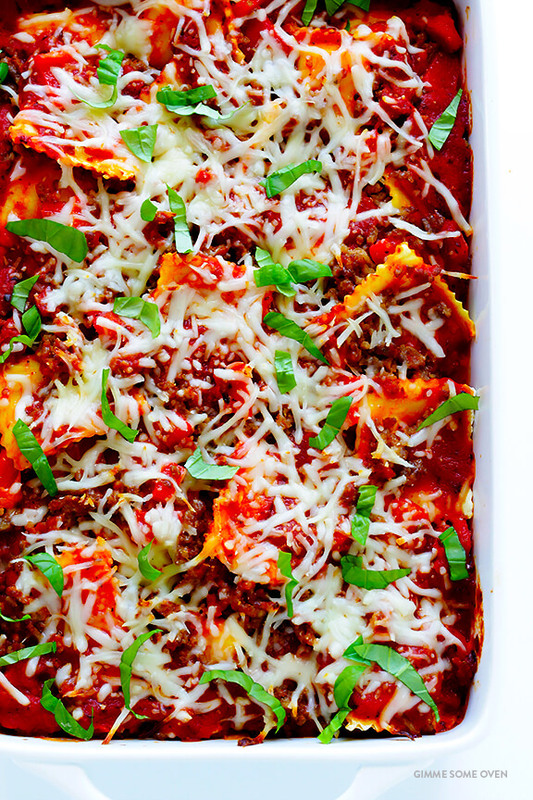 Let’s make some ravioli lasagna! 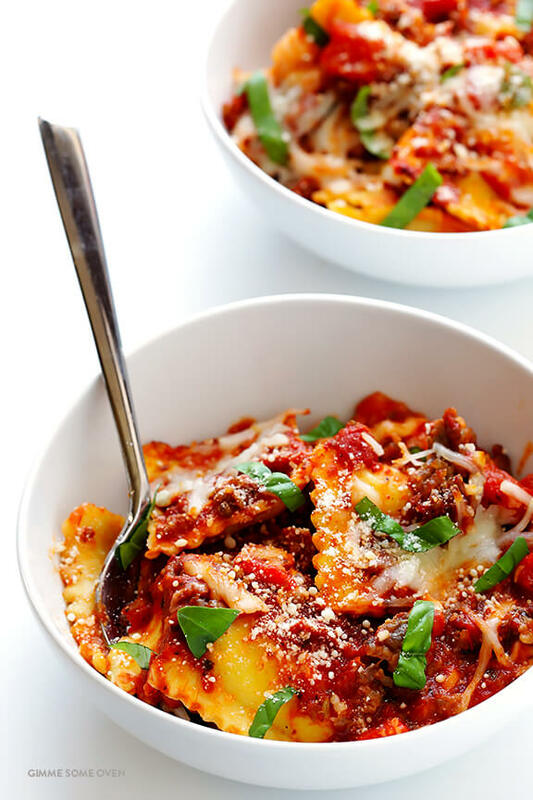 Yep, a few bags of frozen ravioli are the rockstar ingredient in this recipe, and the best news is that you totally don’t even have to cook them! Just grab all of your ingredients and layer them in the pan, and then let your oven do all of the work for you, baking this casserole up to delicious cheesy perfection. 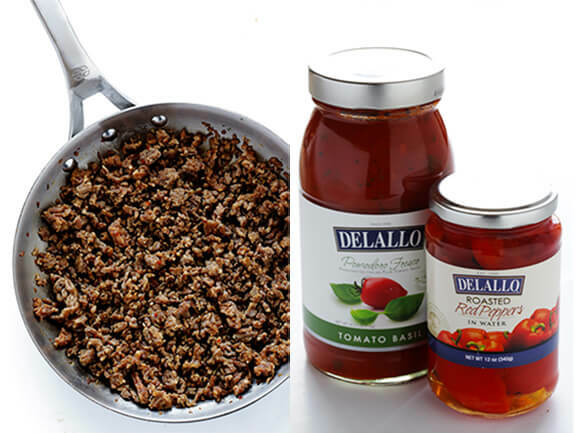 I chose to make mine more of a “meaty” lasagna, browning up some (hot) Italian sausage and then tossing it with some roasted red peppers for extra flavor. But you could also sub in ground beef or shredded chicken, or nix the meat entirely and add in some spinach and/or sauteed veggies to make this dish vegetarian. Totally up to you! 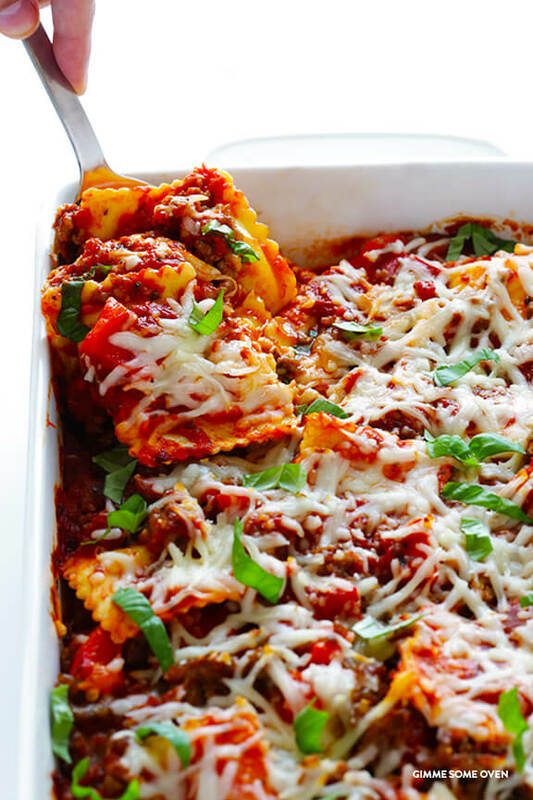 …and then gather your family or friends around the table, and dive in and enjoy all of these classic flavors of lasagna (without all of the classic work)! I’m pretty sure everyone will give this one an A+. So simple, so satisfying, and SO GOOD.